As 2018 draws to a close we reflect on the best match of the year: the Betfred World Championship final. Two giants of the baize clashed in the first ever Crucible final to be contested between two players over the age of 40. Mark Williams defeated John Higgins 18-16 in what turned out to be a true classic. In terms of the drama and the standard of play, it stands alongside the all-time great Crucible finals. The snooker public were captivated by a match which saw Williams aiming for his first world crown since 2003 and Higgins searching for an illusive fifth world title. Welshman Williams had enjoyed a dramatic resurgence across the season as a whole, winning a ranking title for the first time since 2011 at the Northern Ireland Open and adding further ranking silverware to his collection at the German Masters. Scotland’s Higgins was appearing in his second consecutive world final, having suffered a heart-breaking 18-15 defeat at the hands of Mark Selby a year earlier. Williams could have been forgiven for coming into the final somewhat jaded as he only just overcame Barry Hawkins in a nerve-shredding semi-final 17-15, which ended in the small hours of the morning. After completing his media obligations, the down to earth Welshman re-fuelled with a 2:30am pit stop at a city centre kebab shop. That seemed to do the trick as when play got underway, just a matter of hours later, he showed no signs of tiredness. After moving 4-0 ahead and being pegged back to 7-7, Williams went on to win seven consecutive frames to lead 14-7. Higgins was on the brink of a potential defeat with a session to spare, but summoned an epic fightback to level at 15-15, making some astonishing clearances along the way. Williams regained the upper hand and led 17-15 and looked set to get over the line in the 33rd frame until he missed a match-ball pink. Higgins produced another nerveless clearance of 68 to keep his hopes alive. Williams was typically undeterred and knocked in a break of 69, initiated by a sensational red to the middle pocket. That secured a glorious 18-16 victory and his third world title. He then stoically fulfilled a mid-tournament pledge to do his post-match press conference naked if he won the title. 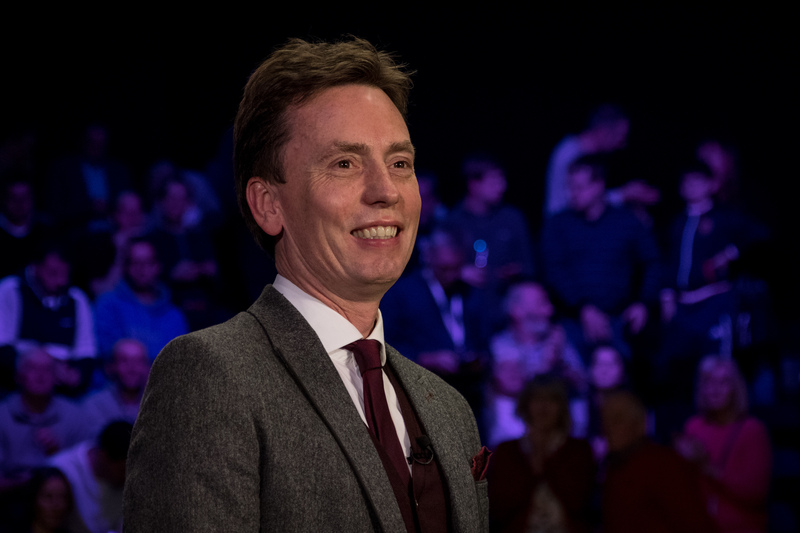 Hector Nunns is one of snooker’s most prominent journalists and is author of the 2017 book ‘The Crucible’s Greatest Matches’. This year’s final came too late to make the book, but Nunns rates the 2018 final as one of the all-time best. He said: “Sport conjures up moments when the hype proves to be fully justified, and the classic ‘Class of 1992’ final in 2018 was just such an occasion. Mark Williams saw his phlegmatic character tested to the limit as John Higgins came back to 15-15 from 15-10 down with so much at stake, and perhaps only a player as laid-back as the Welshman could have shrugged that off and kicked on once again, also overcoming that missed pink to close it out at 17-15. The famous 1985 black ball final between Steve Davis and Dennis Taylor may never be beaten in terms of its edge-of the-seat conclusion, but today’s standard of play is light years ahead. There wasn’t a single century break in the 1985 final, while this year there were six tons and 24 more breaks over 50. Six-time Crucible king Davis believes that the level of performance in the modern game is so high, that it is becoming increasingly difficult to push barriers in terms of the standard at the top level. A World Championship final isn’t just special for the two players doing battle on the baize. It is the highlight of any referee’s career too. Overseeing snooker’s biggest match holds special significance for Brendan Moore as he is born and bred in Sheffield. He took charge of his second World Championship final in May, having already donned the white gloves for Mark Selby’s 18-14 win over Ronnie O’Sullivan in 2014. Defeat hit Higgins hard. Despite reaching September’s China Championship final, which he lost 10-9 to Mark Selby, he has openly admitted to suffering a lack of motivation to get back on the baize. For Williams it was a moment which he thought he may never enjoy again, having had to wait since 2003 to appear in another Crucible final. However, the unflappable Williams managed to remain calm in the crucial closing stages. “Even when I missed the pink at 17-15, there was no tension going through my body,” he recalls. “I knew that if I got a chance in the next frame I would make a decent break. Even if it went 17-17 I would have felt totally calm. I wish I knew why. If you put a heart monitor on me, it wouldn’t be going any faster than as if I was playing in the club. Snooker’s most famous match saw 18.5 million people tune in on television and witness Dennis Taylor complete a fightback of epic proportions in the most dramatic of conclusions. Steve Davis had already won three of his six world titles and had looked nailed on for a fourth when he cruised into an 8-0 lead. However, popular Northern Irishman Taylor clawed his way back into the tie and went on to win a thrilling black ball battle in the decider. Stephen Hendry and Jimmy White met for the fourth time in a Crucible final in 1994 and it looked as if the Whirlwind was set to land snooker’s biggest prize for the first time when he had the balls at his mercy in the decider. However, with a 37-24 lead, he missed a routine black off the spot and Hendry ruthlessly pounced with a break of 58 to inflict another heart-breaking defeat on his opponent. Shaun Murphy and Matthew Stevens produced a blistering standard of snooker in an enthralling final, which saw the Magician fire in 16 breaks over 50 on his way to winning the title. Murphy, age 22, was a 150/1 outsider coming into the event and became the first qualifier since Terry Griffiths in 1979 to lift the trophy. There was an electrifying atmosphere when one of the sport’s greats met a precociously talented 21-year-old for the world title. 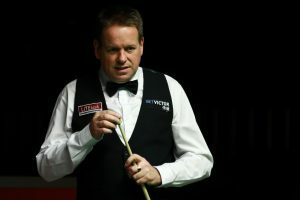 John Higgins carried a 13-12 lead over Judd Trump into the final session, where a raucous crowd greeted the two players. Scotland’s Higgins won four of the last five frames to surge to the line and broke down in tears after clinching the title for the fourth time. The standard set by the Class of 92, throughout their career will indeed be very hard to beat. But i still find it worrying that there isn’t one player under 25, outside Asia, who seems to even get close to the standard the Ronnie, Mark Willams, John Higgins, Stephen Lee, Matthew Stevens, Paul Hunter and more showed well before reaching their 25th birthday. Of course, in part, the decline of the amateur game is to blame, but I’m also convinced that the current system isn’t helping them either. It’s extremely brutal. Yes, players can learn from defeats, but if the gap is too big, this is unlikely to happen, and it’s dispiriting. As for the 2011 final, I was on the floor when the players got down the steps ahead of the final session. I’ve never experienced anything like that, before or since. The tension and excitement were extreme. Higgins who had served a ban at the start of the season, and lost his father only recently was indeed in tears. But there will always be a question: what if Judd Trump hadn’t gone for that incredibly difficult blue in the fifth frame of the third session? He was leading by three frames. Had he got it, his advantage would have been five frames. BUT he missed it, and Higgins went on to win the next three frames as well … it felt like a turning point, right when it happened and it really proved to be exactly that. Well, the city’s very own Tardis that is the Crucible Theatre has seen plenty of steely Scottish men playing indomitable snooker over the years, one of them holding a record seven world titles. But is it an alien thought to imagine a woman joining the cast at the World Championship one day soon? Evans remains the greatest player the women’s game has seen but she’s had to relinquish her number one status to a new, worthy rival, Hong Kong’s Ng On Yee. Could she now be the one to break through the snooker stratosphere and go where no woman has gone before? The petite potter has won three world women’s titles and four UK championships. She’s also been recognised in her country by being named ‘Best of the Best’ at the Samsung Hong Kong Sports Star awards twice. However she hasn’t yet managed to beat a male player during any of her three opportunities to qualify for the World Championship in Sheffield. 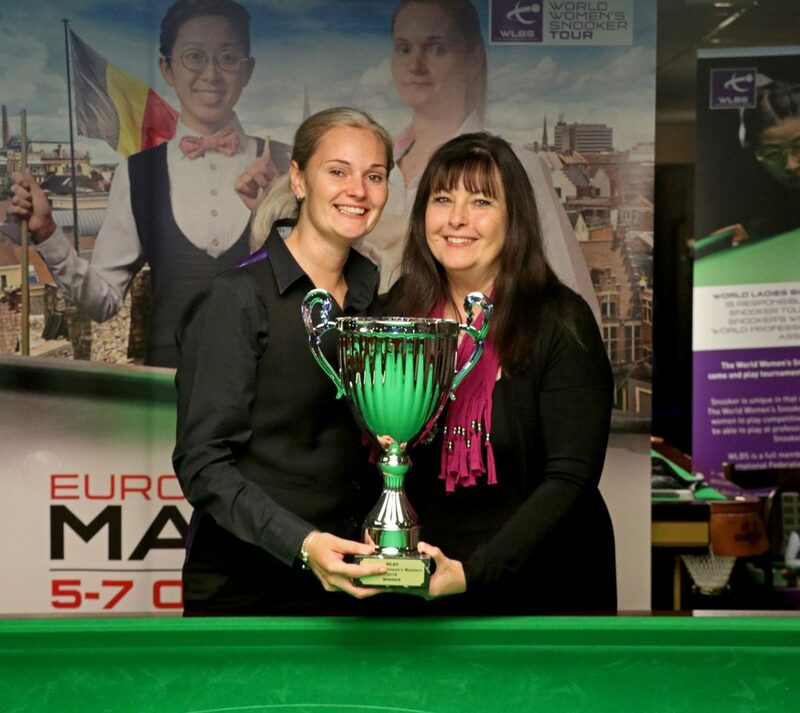 The sport’s governing body, The World Professional Billiards and Snooker Association, continues to encourage women to play the sport and insists there is nothing stopping them from going to the top. 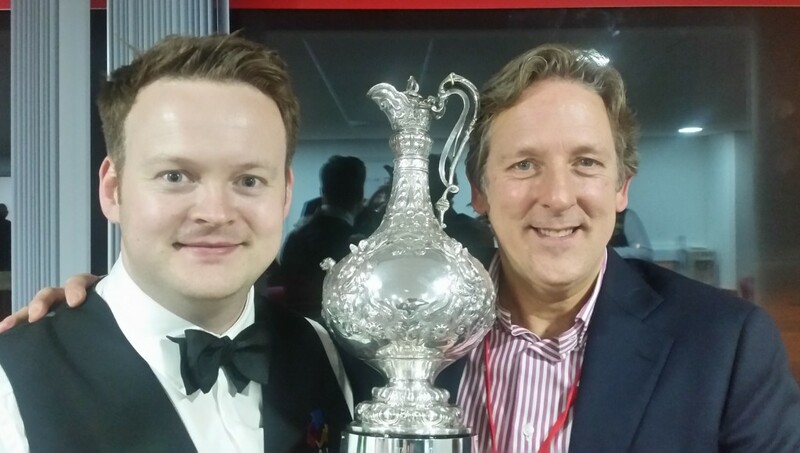 Chairman Jason Ferguson said at this year’s Ladies’ Day at the Crucible in May: “There is no reason why a woman can’t achieve the same as a man in snooker. There are no physical barriers. We’re trying to remove any barriers. We just want more women to play. 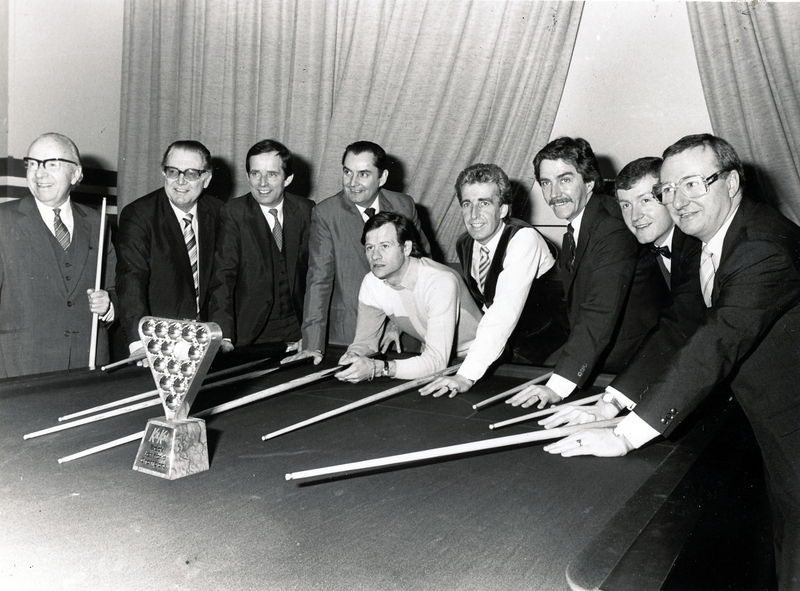 The World Women’s Snooker Championship started running in 1976. For six of those years, around the turn of the century, the final stages were held alongside its professional equivalent, at the Crucible Theatre. The name Selby is a familiar one in today’s game and funnily enough, it was one Vera Selby MBE who lifted the first World Women’s trophy. She did it again in 1981, beating Mandy Fisher, who went on to win her title three years later. The chance to perform on the game’s biggest stage is earned only by the most consistent and resilient of players. They all want to play under the spotlight at the Crucible Theatre, where stars can shine. But the majority admit it’s the most intimidating of spaces, where they feel like they’re doing battle in a parallel universe. On Yee will be defending her world title as part of the World Snooker Federation Championships at the Dubai World Trade Centre in the UAE from 28-31 March 2019. The winner will earn a place at the Betfred World Championship qualifiers in Sheffield in April. First … I want to thank Matt for inviting me to post on his blog and offering the opportunity to share some of my views on a not so well known area of snooker, the Ladies’ game. I’ve been following the ladies for a while now and I have been in three ranking events already this season. There is no denial that the level of the ladies’ game is way behind the men’s. 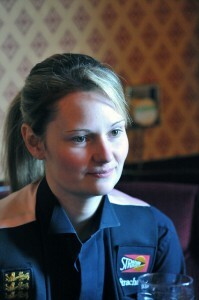 Reanne Evans, 24, is the current WLBSA World Champion; she’s won it five times, she’s also the current IBSF World Champion. She’s undefeated for 49 matches in WLBSA ranking events, and counting. Her high break in competition is 140. That’s pretty impressive and yet she hasn’t been able to qualify for the main tour, despite taking part of the PIOS in the past. Also she will certainly lose her IBSF crown in the coming days because she hasn’t been able to travel to India to defend her title, by lack of a sponsor. So what’s wrong? Will we one day see a female amongst the game elite, or not? Yes, I’ve read that, literally, on forums. I’m hugely interested in neuroscience and I’m the first to accept that, on average, there are significant differences between “women’s brain” and “men’s brain”. While girls are usually better at verbal and social skills, boys have a better eye-hand coordination and spatial perception, both characteristics that would make them more apt to a game like snooker. They are also more competitive, again on average. I wrote “on average”… because that does not mean anything when considering the individual. So you would expect that, given snooker does not require real physical strength, provided enough girls play the game, and proper coaching, at least some of them would be able to compete with the top boys. Today this isn’t the case. So why? The answer is: because not many girls take on the game… although according to some coaches their number is increasing. There are several reasons for that situation to happen. Only too often, clubs are not very welcoming to females, if they are allowed to play at all. Certainly in the UK, many clubs are “men only”. I must say that for a mainland Europe citizen this is shocking but there we go. Even Reanne confirmed to me that she’s not allowed to play in some clubs near her home, and that in clubs where she is accepted some men don’t want to play her because she’s a female. Hannah Jones (13 years old and currently ranked 12) and her father also complained about the patronizing attitude they were facing in clubs. Girls tend to be ridiculed or hassled. This is hard to take especially for teenagers. Another consequence of this is that girls find it hard to make progress because they are not allowed or encouraged to play against tougher male opposition. This is particularly problematic when they reach a good level as having challenges is essential to motivation and improvement. Girls are not encouraged to play snooker. Rarely will you see a father introducing his daughter to the game and to the club. From a parent’s point of view this is understandable. Not only because of the unwelcoming cultural/societal context but mainly because there is not much hope for a girl to make a living out of snooker in the present state of the game. Prize money is so low that even the world champion can’t make a living of it. It wasn’t always that bad though. In the eighties and nineties there was a much stronger ladies field, not only in UK but worldwide, with the likes of Allison, Mandy and Kelly Fisher to name only a few. In the fall of 1997, just after the Grand Prix, the WLBSA joined the WPBSA. Snooker was still huge and the ladies had big expectations. It turned out that actually WPBSA did very little to support the ladies and when the tobacco ban entered into force they pleaded poverty and just dropped WLBSA penniless. That was early 2004 and since then the ladies game has been in a real slump. The most prominent UK players at the time fled to the US to make a living out of pool, very successfully, Allison Fisher being the prime example. The Asian players didn’t have the means anymore, or the interest to come and play in WLBSA events. It hasn’t changed unfortunately. I learned very recently that Hannah is making her debuts in 9-balls as well. There at least she has a professional future. Girls are not shown and not sponsored. Both things go hand in hand of course, sponsors typically want exposure. The girls are never shown on television, very rarely on streaming. If you search for Allison Fisher on YouTube you will find plenty of pool and just one example of her playing snooker, a frame in a match of doubles with Steve Davis. Knowing that Allison is most probably the greatest ever lady in the game, that says it all … When WPBSA was in charge of the Ladies’ game the finals were played in Sheffield at the Crucible. All the necessary equipment was available to record at least some of the games. It could have been shown during the men’s matches mid session intervals, or during the various diversions BBC always offers during the World Championship. No, preference was always given to snippets about the male players … playing golf or fishing or whatever. The situation hasn’t improved. This year the World Championship will be played in Cambridge in a club where the ladies are very welcome. But it’s not an actual arena, so only a very limited audience, mainly friends and families will fit in the available space. And it’s not equipped even to allow for streaming. As a consequence, not only are the girls actually paying from their own money to compete but the whole WLBSA is largely relying on people, like Mandy Fisher, Tim Dunkley and Mark Jones who do it for the love of the game, on their spare time and at their own expense. And that’s also why the IBSF defending champion is not currently in India to defend her title. Women find it hard to put the hours into practice. Obviously when you have to earn a living and you can’t live on your sport, you need another job. When kids come around, it’s mainly the women who take care of them, especially when they are young. This not only limits the time they can devote to practice, it also limits their freedom to travel around to venues. Simple facts of life but they add up to the other difficulties. Having been to several ladies events over the last year, I’m convinced their snooker is every bit as interesting and enthralling as the men’s. Not so many big breaks but, partially because of that, a lot of twists and turns, drama and tension. Bringing the ladies in the media could attract a different type of audience and sponsors. After all it’s mainly the women doing the shopping. So it’s well worth to try and improve the situation. But how? I want to thank Chris Turner, Mandy Fisher, Janie Watkins, Mark and Hannah Jones, Tim Dunkley, Marianne Williams, Dan Lewis, Simon Markham and Reanne Evans for taking the time to discuss this subject with me and providing me factual information that contributed to the “birth” of this article. I’m happy to say that there has been improvement since then. In particular we have seen more young women entering events, and the standard is definitely getting better. But there is also still a lot of room for further improvement. Prejudices are still very much alive. Events like the WSF Championships are important because the women there are playing under the same conditions than the men, they get the same exposure and the main Championship is mixed genders. 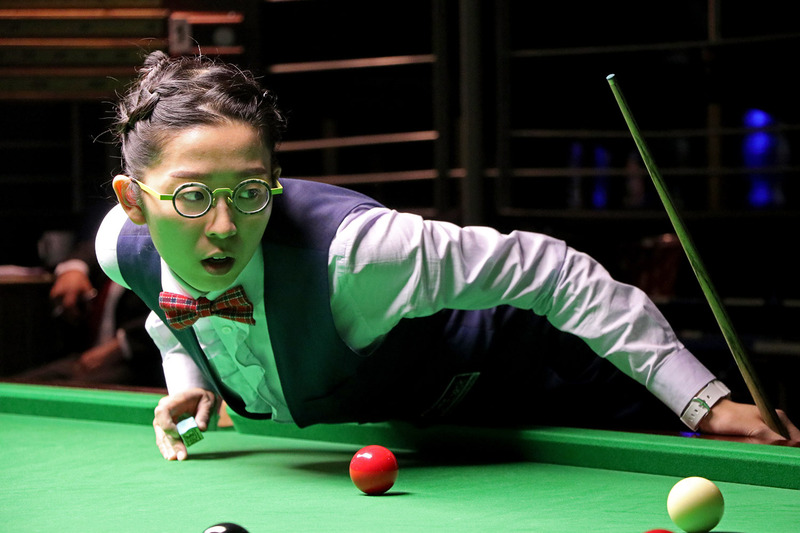 As the Christmas break continues and there is action on the baize – not for the pros at least – Worldsnooker is publishing more articles of general interest for the fans of snooker. The last one is about Alex Higgins. I must admit that I don’t feel much admiration for Alex. Having read his autobiography, as well as Jason Francis books about the origins of the Snooker Legends shows and his involvement with Alex, my perception of Alex as a person is not exactly positive: in both books he comes across as a spoiled brat grown into a selfish, obnoxious, prone to violence and dishonest adult. Watching “The Rack Pack” (BBC2) hasn’t changed that perception either. Of course, I am aware of his huge influence on snooker as a sport, and of the fact that he was key to snooker booming popularity in the 80th. I have watched some footage, and I can see how different he was from the rest at the time and why he was exciting. I can see why young boys aspiring to become snooker players were attracted by his style and flair. He definitely did change snooker forever. But I wasn’t around at the time and that probably explains why I’m not really “caught” into the fascination he seems to have exerted on fans and fellow pros alike in the days. I am also well aware of the issues he had, with alcohol and gambling and many in the sport have said that he didn’t get the help and support he needed and deserved. But then again, when people did try to help him, and there were quite a few who certainly did try – Ken Doherty, Jimmy White, Jason Francis, Ronnie, even fans doing crowdfunding before the word existed … – he always managed to sabotage their efforts somehow. He never seemed to accept that his behaviour was the main problem, not the others, and that he had to change for things to improve. That he died the way he did – from malnutrition – is terrible. The state he was in was in part a consequence of his fight against cancer, but it was also largely a consequence of a life ruined by severe alcoholism. It’s extremely difficult to help and save someone who doesn’t want to be saved. BTW if you haven’t watched “The Rack Pack”, it’s very well filmed and interesting, albeit not 100% in accordance with the historical truth. And the BBC documentary about Alex! 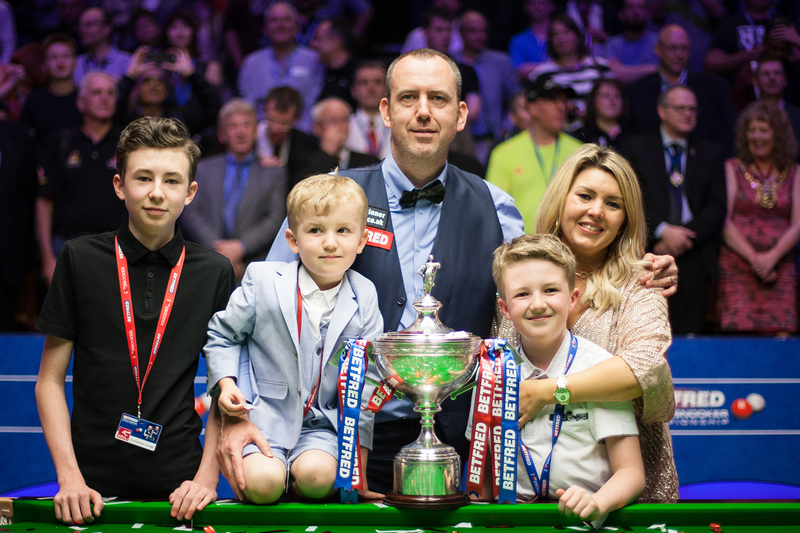 As there is no action for now, Worldsnooker is taking time to tell us what happens behind the scene and today published a feature on what it takes to stage a ranking tournament. Staging a ranking tournament involves many intricacies, which may not be immediately apparent. The task of showcasing the finest 128 snooker stars on the planet is one which requires rigorous attention to detail and precise execution. Whether it be for those tableside in the arena, or those sitting in front of the television preparing for a session of world-class sport, the giants of the green baize provide entertainment to many millions of people every year. Beaming television coverage to more than 50 countries around the world, accommodating thousands of fans in the arena and looking after 128 players, competing on eight tables, requires extensive planning. The process of organising a ranking event typically begins years before the players take to the baize. World Snooker’s Operations Director Nigel Oldfield plays a key role in putting together the calendar and finding venues. Much like the players out in the arena, he needs to be thinking several steps ahead. Oldfield said: “The first part of the process is finding the dates and that comes by looking at where we can fit the event within the overall calendar and undertaking discussions with broadcasters. At the moment, I have not only got a draft calendar for the 2019/20 season, but also the 2020/21 season. You need to be thinking that far ahead of yourself to be able to manage things. The next part of the process is ensuring a packed-out crowd. Established tournaments like the World Championship sell out a year in advance. Fans queued through the night outside the Crucible to get their hands on tickets for the 2019 Championship. However, most other events require extensive promotion. World Snooker’s event management and marketing team, based in Bristol, spend months before each tournament working on branding, ticket promotions, artwork and advertising in order to raise awareness. For events to be successful, they must be at the forefront of public consciousness. The emergence of social media as arguably the world’s most powerful news and marketing tool has changed the way we consume content. While we still obtain much of our information from traditional means like newspapers, televisions and radios, we are now equally invested in using phones, tablets and laptops for our news. It is the job of Ivan Hirschowitz, who heads up World Snooker’s media team, to work with the global and local press to give them the access to events, while directing the in-house coverage of tournaments on digital platforms. Hirschowitz said: “The media build up to a tournament will begin several months before it starts, usually around the opening of the box office and the announcement of the venue. We always have a partnership with the biggest regional newspaper and we’ll work with local media to build up the event and raise awareness. Social media is such an important way of communicating with fans so we have invested a lot in building up the quality of our digital content. We can convey messages about tournaments and tickets to half a million fans with the click of a button, which just wasn’t possible a decade ago. Live television also requires plenty of man-hours and complex preparations from the on-site production team and host broadcaster. Eurosport televise the Home Nations series and their innovative coverage has attracted much praise from the snooker community and beyond. 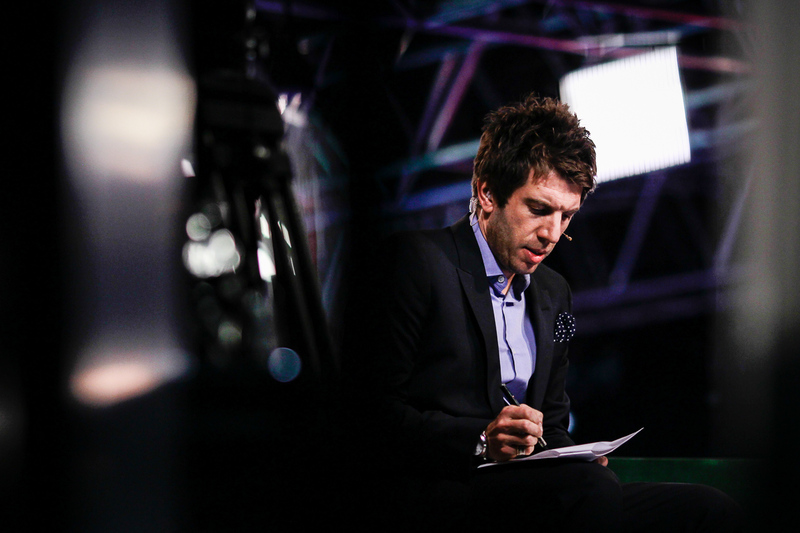 Andy Goldstein and Colin Murray present Eurosport’s programmes, with the likes of Ronnie O’Sullivan, Jimmy White and Neal Foulds providing cutting-edge analysis and expert tips from the practice room. The man in charge of making sure it all comes together is producer Paul Whipps. “It is amazing how smoothly everything runs in terms of setting up,” said Whipps. “This is our third year of the Home Nations, so once the guys are in the venue, they know exactly how to lay the cables and put things together. They are incredible. Before a tournament starts, most venues are empty spaces which need lighting, snooker tables and crowd seating to be put in place with expert precision. TranSport are contracted by World Snooker to direct the rigging process and put up the event infrastructure. Will Cope oversees the process. World Snooker Services are tasked with the critical role of getting the tables in position for the action. 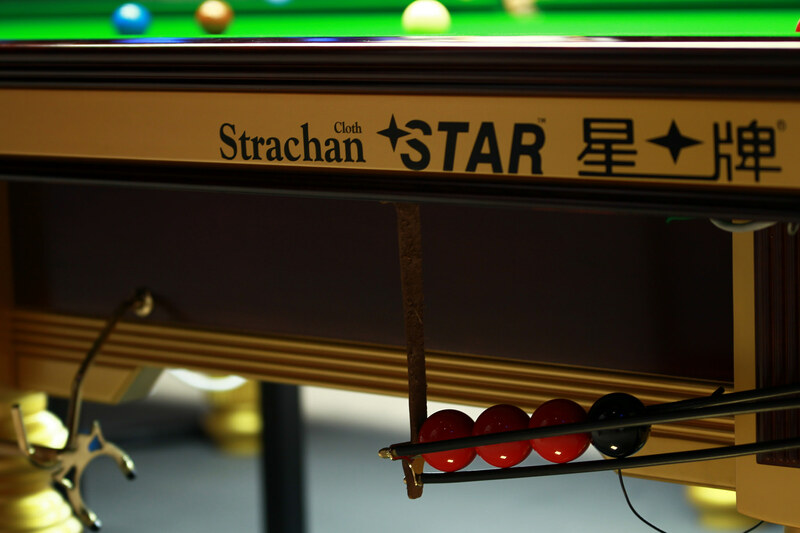 Both fitting and servicing the tables throughout the tournament is a specialist skill which requires each element to be executed perfectly to create top class playing conditions for the world’s finest snooker stars. Pete Godwin is one of the directors of the company and has more than 35 years of experience in the trade. Tournament Director Mike Ganley and his team oversee the events and ultimately take responsibility and make key decisions for everything which goes on in the match arena. “I don’t think people necessarily understand how much work goes on in the background,” said Ganley. “We have the referees, the security and officials, media and event managers, so to start with there is the handling of staff. We are constantly in touch with the players, the officials and the broadcaster to make sure that the tournament runs to plan. It’s indeed a lot of work, and I can confirm that Ivan and his team, the fitters, the TV guys, the referees, the cameramen (and women!) and tournament director staff work extremely long hours to make sure that everything runs smoothly. However some of the things written in this article surprise me a bit. From April 2010 to January 2016 I have been in a lot of tournaments. The “Triple Crown” tournaments are usually well advertised, and them being run for years in a row in the same city and venue does help. But for the other tournaments, I must say that my own experience is that, more often than not, the locals are largely unaware that a snooker tournament is happening close to their home, even the taxi drivers, who naturally tend to meet and speak to many people, often know nothing about it. In those events, especially the smaller ones, I was often the only photographer on site particularly in the early stages. Then the local press usually sent someone for the semi finals and final, or if a local player was in action, or… if Ronnie was playing. At the big events, the UK Championship, the Masters and of course the World Championship there were more people in the media room. The BBC guys, both from television and radio, the written press and photographers. But it was mostly always the same guys event after event and their number was closer to 40 than 100. Things might be different in Asia, but when I attended the Shanghai Masters in 2012, it was roughly the same. Happy Christmas to all my family, friends and fans all over the world. So if Ronnie believes in Santa, what would you put in his boots if you were Santa? Snooker is a craft of precision, timing and execution, but for many years professionals honed their metronomic motions alone. It is now increasingly common for top players to turn to coaches in their quest for perfection. The art of delivering a cue through the ball in a straight line is far more complex than it sounds. Snooker is a sport where both mental demons and technical glitches loom large. 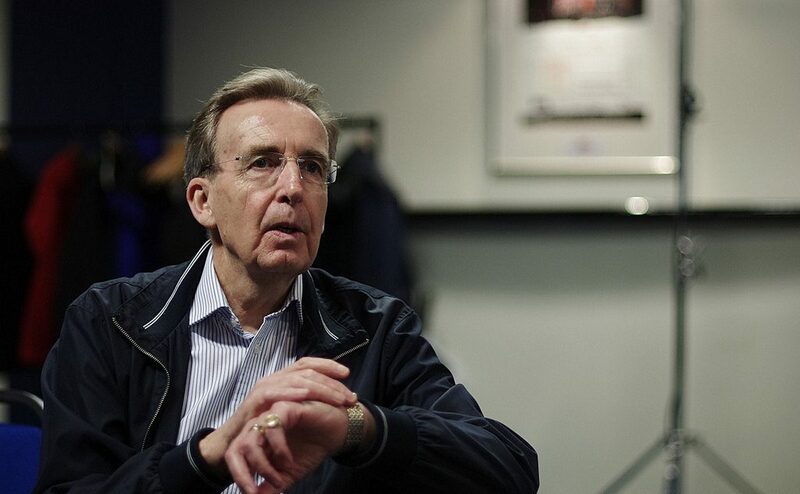 The 1979 World Champion, Terry Griffiths, has established himself as one of the top coaches on the World Snooker Tour and works with eight players, including Ding Junhui and Mark Allen. In his generation, coaches were few and far between, but Griffiths admits that he would have benefited from one during his playing career. Griffiths said: “I always think that I would have loved to have a coach when I was playing. I know I would have performed better. I think as long as the player bonds with their coach then they will always do better with one than without one. Griffiths takes his belief that emotions are unhelpful in the coaching environment to the extent that he doesn’t want to become too familiar with his players. The Welshman spent several years working with Northern Ireland’s Allen before parting ways during the 2016/17 season. During their time apart, Allen won his maiden Triple Crown title at the 2018 Masters, but he has now returned to working with Griffiths, with great success. Allen admits he is delighted to be back alongside Griffiths. However, he doesn’t quite share the belief that he has benefited from their time apart. “It is something I feel I needed. I’d have liked to stay with Terry the whole way through,” said Allen, who has won the International Championship and Scottish Open this season. “Even though I won the Masters, who is to say I might not have won more with him? I am happy with what I have in the sport, but I would like to think I’ve got a lot more tournaments to get under my belt in the future. While the mental side of snooker is crucial for certain players, others might look to change their technique in a bid to improve results. 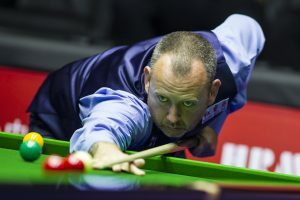 Mark Williams credits his snooker renaissance to adopting the SightRight method and believes it was a key factor in winning his first world title in 15 years back in May. 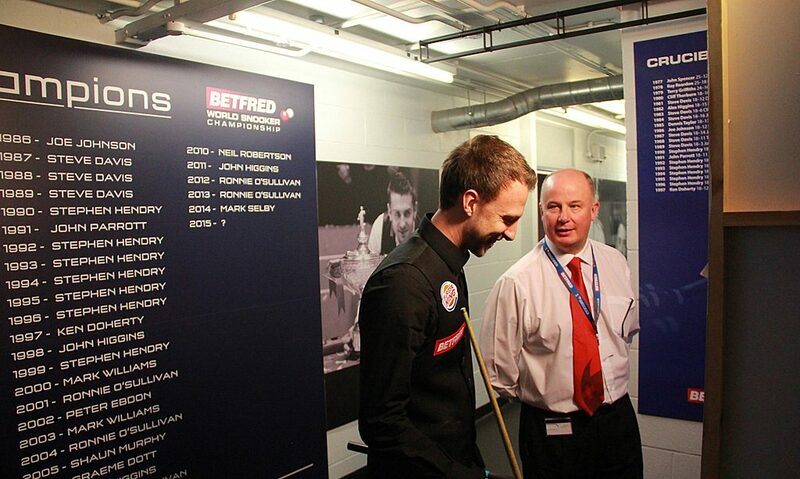 Coach Steve Feeney, who created the technique, is also working with five-time Crucible king Ronnie O’Sullivan. 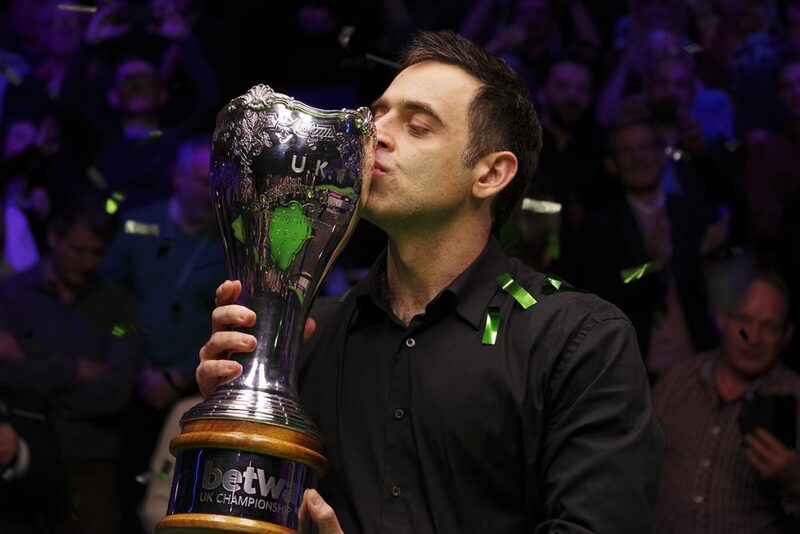 Arguably the best player of all time, O’Sullivan enjoyed one of his best seasons in 2017/18, winning five ranking titles. He first worked with Feeney towards the end of last season, and started the current campaign in the same winning groove, taking the Shanghai Masters, Champion of Champions and UK Championship titles. Feeney himself believes that we will only see the result of the change in the long-term. He said: “Nick Faldo made a change to his swing over two years to make sure he could achieve what he wanted to. This is kind of where we are with Ronnie. To make those changes can be huge work. Chris Henry has worked alongside giants of the baize such as Stephen Hendry and Shaun Murphy, as well as some of golf’s top players, including former Ryder Cup stars Lee Westwood and Rafael Cabrera Bello. Henry’s biggest area of expertise is the mental implementation of habit and repetition and he uses that to link into the technical realm. Henry’s method is based in neural science, which aims to make the act of playing a sport into a subconscious one, much like riding a bike or driving a car. “The key is to have very sound mechanical habits,” said Henry. “This is interesting because to see by habit we actually go through the visual cortex of our brain and not our eyes. This is why sometimes we aren’t seeing what we think we are. A player can believe they are addressing the ball in a certain way, but they aren’t. It is my job to identify if they are doing anything wrong and get them back on track with things. Former World Champion Murphy has worked with both Henry and Feeney and he believes that the evolution of any sport sees competitors seeking to employ coaches in different areas of expertise, in order to find that edge on their opponents. “If you don’t work with anybody and you are just a standalone guy, then what you are saying is that you know everything,” said Murphy. “You don’t need anyone’s help. I don’t know any champions, in any sport, who have succeeded that way. There are people out there with more knowledge than me. I think it is good to go to coaches. They have their own speciality. Steve’s speciality is sighting and alignment. Chris’s speciality is cueball deflection and the mental side of the game. I’m not sure that becoming a top coach can be taught. Of course a coach needs to master the subject/technique they are coaching about, but not necessarily at the very highest level. Like with teaching, a lot of it is about understanding where the blockings are and being able to share that understanding, as well as building trust and stimulating the desire to improve. The psychology of the relationship between coach and “student” is paramount. Therefore there isn’t a notion like the “absolute” coach. A coach, and their methods, might suit certain students perfectly, and not “click” with others at all depending on personality. Also, a person might be very proficient at something but be unable to convey the knowledge to others. Today, millions of people will celebrate Christmas … and it’s customary to present relatives and friends with good wishes and presents. I’m a non believer and this day has no religious meaning for me. But I will still celebrate it because … well, because it’s a good day as ever to tell the ones dear to us that we love them. It’s a good day as ever to sit together and actually talk, have a good time, enjoy a good meal, a laugh and a hug. It’s a good day as ever to remember that peace, compassion and love are precious. Life is hard enough, and short, let’s not make it harder. One of the oldest traditions around this time of the year, and probably one at the origin of Christmas itself, is to celebrate the “rebirth of light”. We have reached the “darkest” of the year, the longest nights, from now on, days will grow again, daylight will come earlier with every passing day. And with it, the promise of a new spring, the first flowers, the return of the birds, new life everywhere. It’s a celebration of hope. So here are my wishes to you all: have a great time with your loved ones, forget the disagreements, forgive, make peace, have a laugh, share a good meal, a lovely drink, with or without alcohol, call someone you haven’t talked to in a long time, revive a friendship, give hug, invite a lonely person, enjoy yourselves. Tonight, tomorrow … every day. For this “award” there were two deserving candidates, Ronnie and Mark Williams, well above anyone else. I finally decided for Ronnie because he was the most consistent at a very high level throughout 2018, despite a disappointing World Championship. Ronnie won five tournaments during the 2018 campaign: the World Grand Prix, the Players Championship, the Shanghai Masters, the Champion of Champions and the UK Championship. He became the first player to win the Shanghai Masters three times, and the first to defend that title. He became the first player to win the Champion of Champions three times, having made it to the final each time he’s entered the event. By winning the UK Championship for the seventh time and going one better than Steve Davis, he set two new records: the most UK Crowns (7) and the most Triple Crown Events titles (19) superseding Stephen Hendry. He also bettered his own record of most maximums, by adding two more to his tally. He now has 15 of them. 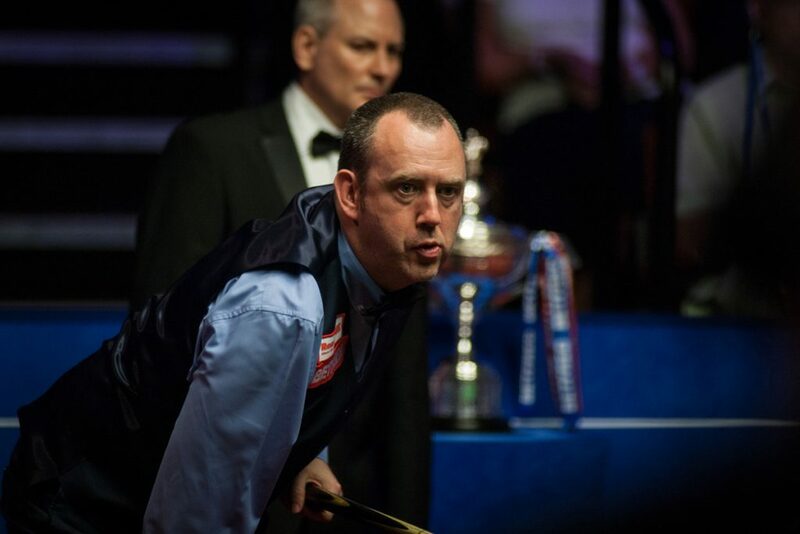 Mark Williams won his third World Championship beating John Higgins in the final by 18-16. It was a very high quality match during which the players made 30 breaks over 50 between them including 6 centuries. It is certainly one of the best World finals ever, and the match of the year in terms of status and quality. But Willo’s performance didn’t stop at winning. True to his word he came to his press conference naked and it’s only because the sponsor insisted that there was a towel involved. The celebrations that followed were epic … and they’re still going on! Yuan Sijun is only 18, and only in his second season. Last season he played 25 matches, won 8, lost 17. This season he’s played 26 matches already, won 17, lost 9. He reached one QF, one last 16 and twice the last 32 beating Ding Junhui, Kyren Wilson and Mark Allen en route. He’s one to watch. Definitely. Not flashy, but very efficient and mature for his years. I chose this match because it really had everything: high quality, tension, the underlying rivalry, the twists and turns and the flukes both sides. It concluded by a very eventful decider. Mark Allen winning the first and last events of the year, the Masters, his first Triple Crown, and the Scottish Open bouncing back right after losing in the UK Championship to Ronnie. Nutcharut Wongharuthai, from Thailand, only 18 or 19 years old, and only in her second season on the Women’s tour. Here is what she achieved this year: 2018 European Women’s Masters runner-up, 2018 British Open runner-up, 2018 World Women’s Under-21 Championship winner, 2018 UK Women’s Under 21 Championship winner. And she beat On Yee Ng and Wendy Jans, both multiple World Champions, in the process. This year again, snooker was involved in match fixing issues, with two players, Yu Delu and Cao Yupeng, getting bans for various breaches of the rules regarding betting and for actual match fixing, whilst two more, David John and Jamie Jones are still being investigated. This is very damaging to the image of snooker as a sport, and very likely to deter sponsors as well, in particular in mainland Europe. Sport, if not competed honestly, isn’t sport. I have absolutely no sympathy for the betting industry and I’ won’t shed a tear on them losing money. You only have to consider how many of those businesses prosper and flourish to understand that they win big, which also means that the punters lose big. On average the person who bets regularly will lose much more than they will win over time, otherwise the bookies wouldn’t be so succesful as a business. It’s that simple. Once you realise that, you stay away, right? No. Advertising is everywhere, people believe that they can beat the system, get caught and gambling addictions are on the raise. I also have no sympathy for those who bet and complain when they lose, or worse come on social media throwing abuse honest players who had just a bad day. They should know the risks they take, it’s no rocket science. Of course, I don’t condone match fixing, nor any other form of cheating in sport because it defeats everything sport is about. I just wish that snooker wasn’t so dependant on one type of sponsors, especially those sponsors. The tobacco ban fiasco apparently has taught the people in charge nothing. And a ban, or at the very minimum, a heavy regulation of the betting advertising is coming. Actually it’s upon snooker already. Read here. Ronnie’s spat with Barry Hearn during the UK Championship over various aspects of the tour was covered in-extenso by the media and I don’t think I need to come back on that specifically. There is however one aspect that can’t be denied: the structure of the tour could be improved to allow players to have a bit more breathing space between events, be it for preparation or for traveling. Especially the top players who regularly make it to the business end of tournaments. Is having a couple of days between consecutive tournaments that much to ask? Again the 16 days of the Championship League (CLS) come in the picture here. Is it not time to get rid of this event? Especially considering that it only profits to a few selected players and that the format isn’t exactly encouraging 100% honesty: indeed a player might earn more if they lose and carry on group after group than if they do their absolute best to win every group they are involved in. Also, the Coral Cup events can only be played in the second half of the season, because the line-up is determined by the one year list. BUT, this means that for a lot of players, the next months will be rather “empty”. This season, those outside the top 16, and not invited in the CLS will not play before end January. Those who didn’t qualify for the German Masters – that’s all but 32 – and are not in the top 32 in the one year list will not play before mid February. Meanwhile for the top players, it will be absolutely packed. Grouping events geographically, as done in other sports doesn’t seem to be an option, as the Chinese authorities want their events scattered over the year, probably for commercial reasons. But, if we have a true flat draw, then, all events should be played at the final location in one go. That also would free space in the calendar, and solve the “wildcards” and held-over matches issues. It would also put an end to the bias that actually exists, with Asian players having to qualify for their home events in the UK, without financial compensations whilst UK players qualify on home soil and are compensated if their match in Asia is held-over. And, if the “real” flat draw isn’t a viable option, why not have a mix of tiered and flat draw events? Some tired qualifiers could take place during the Shanghai Masters and the Masters for instance. At least the tiered structure would give the lowest ranked players a more winnable first match, and help their development, better than the extremely brutal system we have now does. Outside Asia, where grassroot is well supported, there isn’t any young player, under 25, really succeeding since that system is into place. 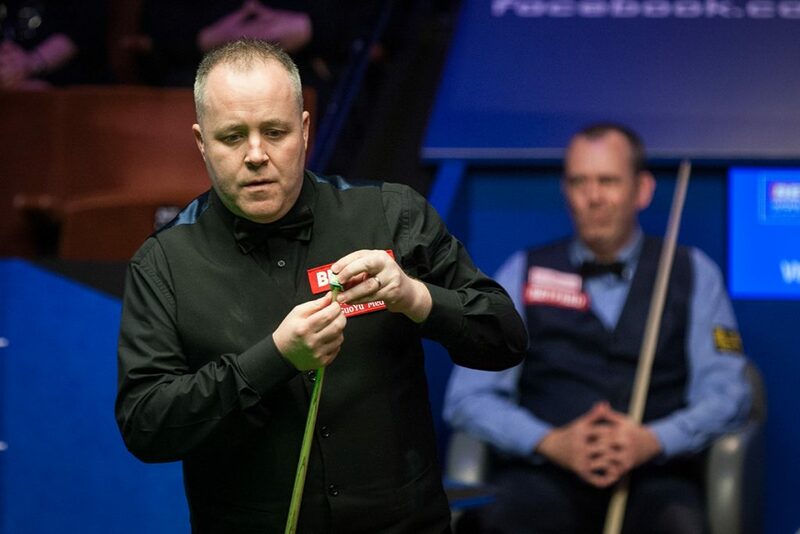 All the current champions have come through the tiered system in their first years on the tour, and the likes of Ronnie, John Higgins and Mark Williams were winners well before turning 25. The Challenge tour looked like a great idea. It probably is. But, it has failed to attract the amateurs as much as most of us expected it would. Why? Well, for many reasons probably. These are amateurs, they have to take time out of work or school for it. It’s not cheap either. There is no visibility: it’s not streamed, worse, in Lommel spectators were not allowed except the players friends and family duly registered beforehand, and from what I heard it was the same elsewhere. That’s not helping the players to find sponsoring. There is no live scores for fans to follow the matches as they unfold. And, other than me, I don’t think there ever was any photographer or media person to give it exposure. And add to that with only the top 2 of the yearly money list getting a tour card, many already had lost every hope before the season was half through. Why not have a Challenge Tour Grand Final involving the top 16 of the list instead and reward the finalist? That would keep more guys motivated through the season. Next year the Paul Hunter Classic will be an invitational event featuring 16 players. What used to be a glorious pro-am attracting amateurs and pros “en masse”, has gone down since it has become a ranking event, largely because of its spot in the calendar, during the last weeks of the summer holidays, and the poor prize money. This year, most top players have snubbed it, taking the opportunity to spend some time with their family and I don’t blame them. It’s not dead just yet, but I’m not optimistic. It’s a big shame, a loss for the fans, the amateur players and snooker in mainland Europe. Permanent fixture in the “Lows”: the Snooker Shootout being a ranking event.